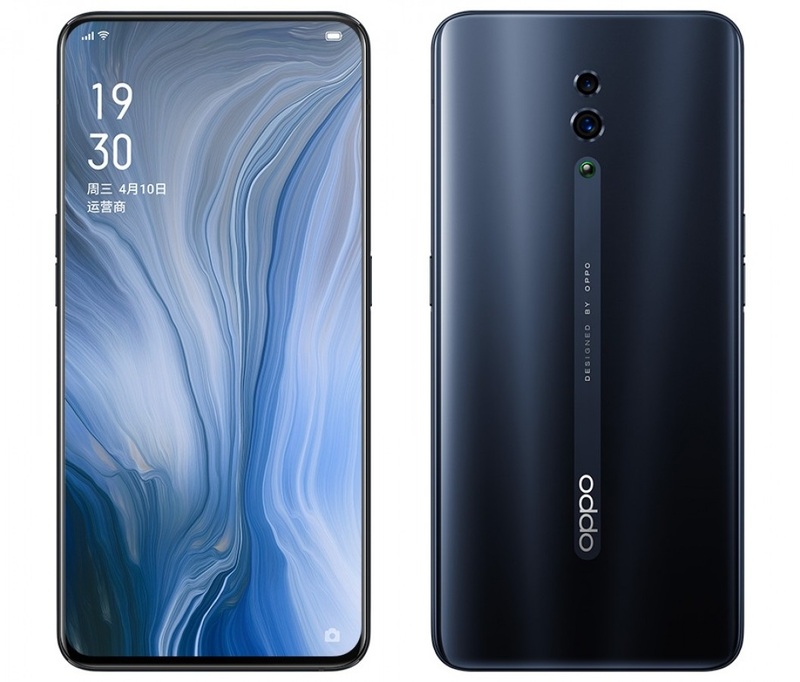 After being teased for weeks, Oppo Reno was finally released in China yesterday. Two new phones were released, Reno and Reno 10x Zoom. Take a look yourself at what they have brought to the market. Oppo Reno 10x Zoom is the new Oppo flagship. It comes with a 13MP F / 3.0 periscope camera with 10x hybrid zoom. On the back, there is a 48MP F / 1.7 main camera and 8MP F / 2.2 120-degree wide-angle camera in a setting that is a direct camera competitor to the Huawei P30 Pro. In fact, the periscope camera has a higher resolution and a wider opening than the Huawei flagship. Innovation in the camera field continues with the first camera of this type in the market. This camera, which comes out of the upper edge and resembles a shark fin, carries a resolution of 16MP F/2.0 and gives a view of 79.3 degrees. Reno 10x Zoom Edition is powered by a Snapdragon 855 chipset with 6GB or 8GB of RAM and 128GB or 256GB of internal storage. The entire phone is made about the 6.6-inch FHD + AMOLED display, which makes the screen to body ratio of the phone go up to 93.1%. Reno 10x Zoom runs on Android Pie 9.0 with ColorOS 6 on top of it. It has a fingerprint scanner located beneath the AMOLED display. It comes with a 4.065 mAh battery with fast charge VOOC 3.0 support. Oppo Reno 10x Zoom will come in Fog Sea Green and Extreme Night Black. The prices of the model depend on the memory configuration so customers will have to pay $595 for the 6GB/128GB model, $670 for the 6GB/256GB version and $714 for the best 8GB/256GB variant. The standard edition of the Oppo Reno is essentially a middle-class phone and is powered by Snapdragon 710 chipset. He has a design similar to that of his big brother. It also has the same selfie camera, but also a slightly smaller 6.4-inch FHD + AMOLED display. However, the same fingerprint scanner was installed. As for the camera sensors, it has the same 16MP selfie sensor as the Reno 10x Zoom, but on the back there are only 48MP F/1.7 primary sensor and 5MP depth sensor. The third, wide-angle camera is missing from this model. Oppo Reno has a slightly smaller 3.765 mAh battery but retains VOOC 3.0 fast charging support. The phone comes in the same memory configurations as the Reno 10x Zoom edition – 6GB/128GB, 6GB/256GB and 8GB/256GB. 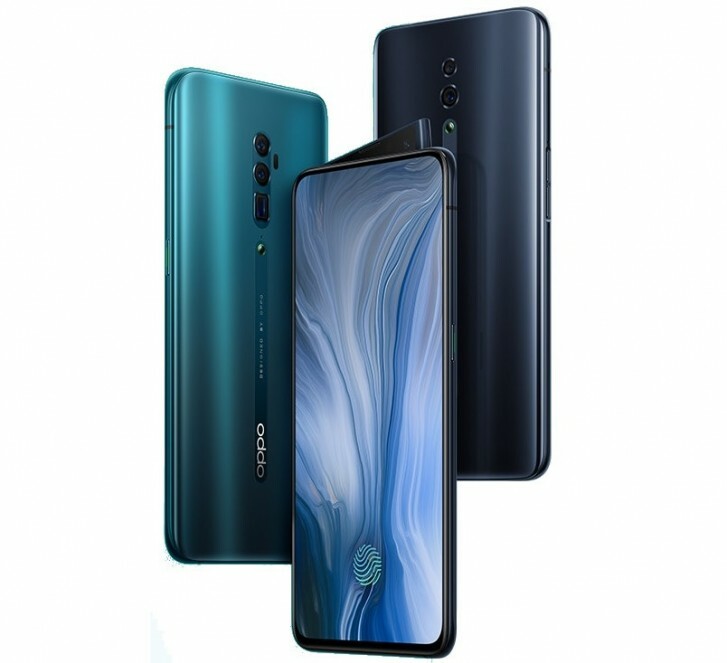 Oppo Reno is available in Fog Sea Green, Mist Pink, Nebula Purple, and Extreme Night Black, and costs $446 for the basic 6GB/128GB memory configuration, $491 for the 6GB/256GB for the middle-tier, and $536 for the 8GB/256GB top option.